Preserve at Lakeside Landings is a new active adult community being built by respected homebuilder D.R. Horton in Winter Haven, Florida. This neighborhood, reserved specifically for those 55 and better, is part of the larger, all-ages Lakeside Landings development. Residents will enjoy low-maintenance living with access to amenities like an outdoor pool, walking trails, and open spaces. A clubhouse with multi-purpose rooms will be a center of activity at Preserve at Lakeside Landing. Residents will be able to enjoy swimming at the community's outdoor pool or just relaxing on the patio with a good book in the Florida sunshine. A tot lot is perfect for visits with grandchildren. Nature trails, a multi-purpose field, and scenic ponds throughout the community allow homeowners to enjoy the outdoors. Upon completion, Preserve at Heritage Landings will have 43 single-family homes. Homebuyers will have four floor plans to chose from that range in size from 1,641 to 2,034 square feet with two or three bedrooms, two bathrooms, and attached two-car garages. All floor plans have features designed with active adults in mind, like first-floor master suites, open design living spaces, and customizable flex rooms. Homeowners at Preserve at Lakeside Landings will enjoy as much activity or relaxation as they desire. Active adults can enjoy a brisk swim in the pool or a leisurely walk along the walking trails. Residents can enjoy life in this low-maintenance community knowing that lawn care and common area and exterior maintenance are all taken care of by the homeowners' association. 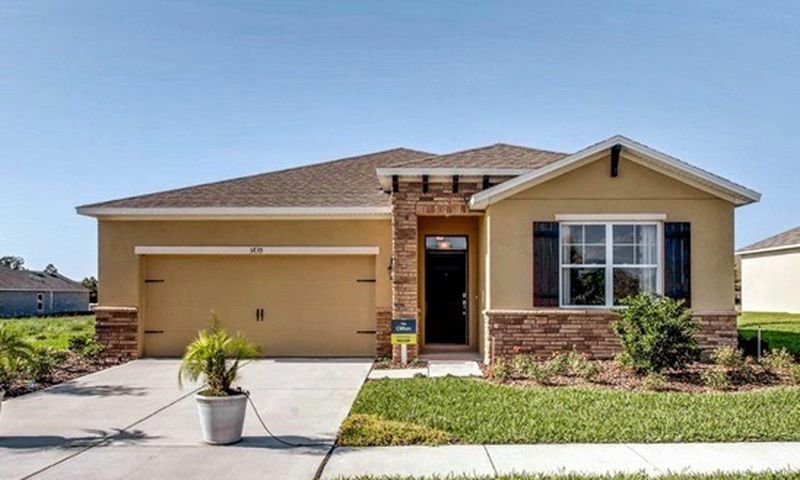 Preserve at Lakeside Landings is conveniently located in Winter Haven, Florida. Day-to-day shopping needs are easy with a Winn-Dixie, Walmart, Aldi, several restaurants, banks, pharmacies, and other retails stores just six miles away. There are six golf courses within eight miles, giving golfers plenty to explore and enjoy. From this Central Florida location, the amenities and attractions of Tampa and the Orlando-Kissimmee area are both about an hour's drive away. Residents can enjoy the museums, River Walk, and outstanding restaurants of the Tampa area just as easily as the theme parks of Orlando. For long-distance travel, Orlando International Airport is just over 40 miles away, making weekend getaways easy. Preserve at Lakeside Landings offers the best of Central Florida with its great location, low-maintenance homes, and amenities. Check back soon for more information on the lifestyle in Preserve at Lakeside Landings. 55places.com is not affiliated with the developer(s) or homeowners association of Preserve at Lakeside Landings. The information you submit is distributed to a 55places.com Partner Agent, who is a licensed real estate agent. The information regarding Preserve at Lakeside Landings has not been verified or approved by the developer or homeowners association. Please verify all information prior to purchasing. 55places.com is not responsible for any errors regarding the information displayed on this website.